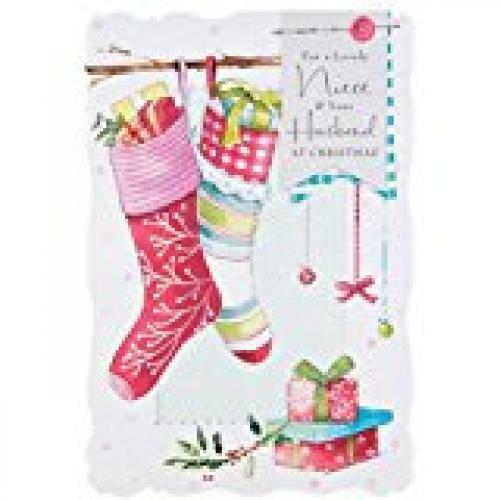 This lovely card opens at the top and comes with a beautifully decorated envelope. The inside reads "Hope all the good times you share this Christmas bring you both warm and happy memories all year long. Merry Christmas".